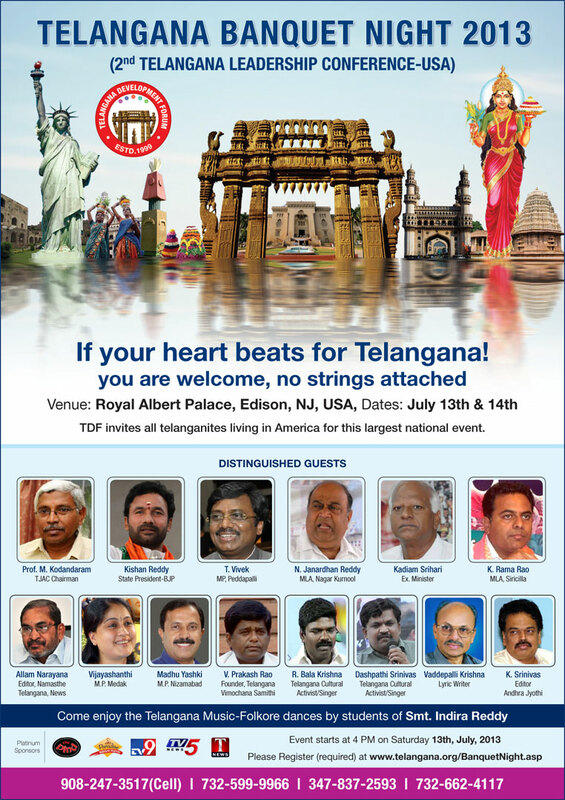 The Event is expected to get National Level Participation that is eager to help craft a vision for Telangana Future. It is intended to generate useful and fruitful discussion and deliberation regarding the Future of Telangana. Policies and prospects related to Telangana Development will be presented and an effort will be made to evolve a framework. The effort should be viewed as a modest beginning for a sustained effort in evolving a vision draft and scope for a more prosperous and democratic Telangana. More ideas will be sought and generated from across the board as a part of this effort over the next few weeks leading up to the event. Sunday, July 14th 2013, 3PM.